For the new Marvel entry, Captain America: The Winter Soldier, composer Henry Jackman takes over the helm from Alan Silvestri to provide a modern, thundering new score. Just as Steve Rogers struggles to find his place in a modern world, the score ramps up with modern sensibilities and joins Rogers as he leaves behind memories of the '40s world and deals with a new and more menacing enemy. 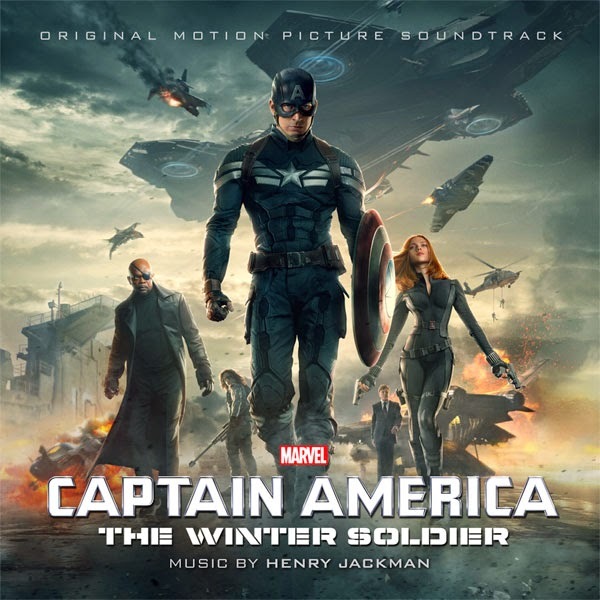 Jackman's goal was to create a score that fused the symphonic, heroic and thematic into one coherent work, while also creating something dark for the Winter Soldier, himself. Capturing the essence of not only a superhero story but also a dark political thriller, Jackman's score modernizes and darkens Captain America's world. In The Winter Soldier, Steve Rogers (Captain America) is found adjusting to life in the modern world and living quietly in Washington, D.C. after the massive events of The Avengers. But after a S.H.I.E.L.D.colleague is attacked, the quiet life is over as Rogers gets sucked into a nefarious plot that could threaten the world. Along with Black Widow, Captain America finds himself trying to reveal a growing conspiracy and fighting off assassins. However, they soon find themselves up against an unexpected and formidable enemy -- the Winter Soldier. CLICK HERE FOR THE CAPTAIN! Yeah, what else do you need to know... fan, yes! Just Announced! A great soundtrack and "Lemurian Star" is my favorite for it's slow build to pounding action.